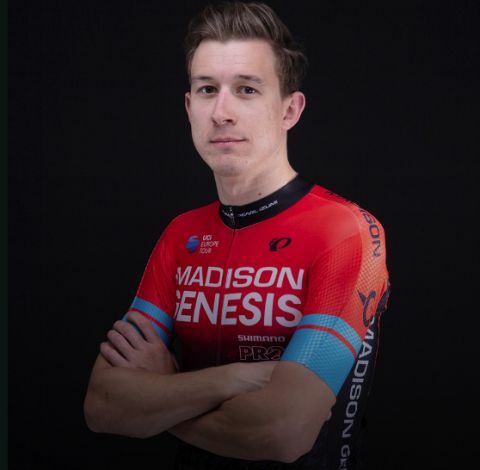 In another feature from Madison Genesis, they chat to Jon Mould who in 2016, won no less than six rounds of the Tour Series but in 2018 proved he’s a roadie too with second in the Commonmwealth Games and UCI Road Race win. 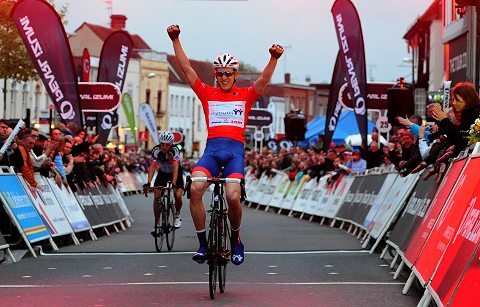 Overall, Jon Mould has won 11 rounds of the Tour Series, one more than Olympic Champion Ed Clancy but his success on the road shows he can bring the team success there too. Jon Mould’s evolution from track rider, to Tour Series legend and UCI road race winner marks him out as a favourite wherever the British peloton races. While it’s easy to define the 27-year-old for his record-breaking run of six wins in the 2016 Tour Series, 2018 added another dimension to the Welshman’s palmares. 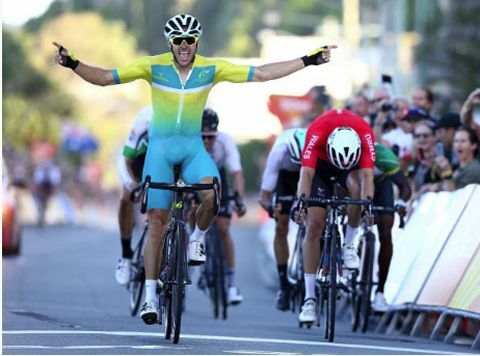 A silver medal at the Commonwealth Games road race and victory at the UCI 1.2 GP des Marbriers were years in the making – but what about 2019? Jon talks about returning to winning ways in the Tour Series, opportunities at the national championships and spending winter racing on Zwift, rather than on the velodrome. Q: You’re new to the team – how are you looking forward to getting started with Madison Genesis? Jon: It’s good to have a bit of a change and new environment after three years and I’m looking forward to something new. I think we have one of the strongest teams this year. We’ve got young guys who can step up as well and we can help them where we can, off the bike and also on the bike so they can show what they can do. Q: How has your winter and off season been? Jon: It has been quite a change. It’s been the first winter I’ve spent in the UK in four years. In 2017, I finished the road season and was straight into racing the track world cup series, followed by going out to the Commonwealth Games, followed by the Tour Series and wrapped up by the rest of the UK calendar. It was a flat out 12-months of travelling and racing and it took its toll. After the Tour of Britain ended, I had six weeks off – probably the longest I’ve ever had. Second to Steele Von Hoff at the Commonwealth Games. Getty Images. Q: How has not racing track this winter changed things? Jon: Welsh Cycling didn’t register a trade team this year, which after my schedule was a bit of a relief. Even if they did, I probably would have passed on that because I needed a proper break. It has been nice to have a relaxed build up and to feel that I’m fresh. Even now you look at the calendar and it’s still a long way to the first race of the season. Q: How has that changed your training? Jon: It has been completely different in some ways, then sometimes I’m bored hanging around at home! I race a bike because I want to race, the training side is just part of it. I like going for a ride but the only thing I do it for is winning and racing as a team. So far, I’ve just been relaxed about the training and don’t worry about it. I’ll chat to the other guys and get advice from them. Q: How did the winter start off? Jon: I was really keen to get back on the bike and fortunately I didn’t feel as bad as I thought I would in the first week back. I didn’t want to ruin my morale though, so didn’t look at any numbers. For at least a month, I didn’t want to look at the watts. I just looked at heartrate and as it’s really high, you can think you’re doing ok! Q: There’s a lot of focus on the numbers for training and you stopped looking at them to start with – because it can work both ways? Jon: I think if you get stuck on the numbers all the time, then you can become fixated on it. You do 10-watts less than your best ever and you feel bad about it. To be honest, that difference, it’s nothing really. As much as that number can build your confidence up, it can take your motivation away as well and that could take a long time to get back. Q: What do you do to keep the motivation for a hard effort? Jon: I’ll end up doing an effort racing to the café or up a climb like a kid on a bike and you look at the numbers afterwards. I’m a racer and if I’ve got an effort, I look at a Strava segment and go out and try for a time – it can give you an extra few watts when you’ve got a bit to prove. Q: Up until now, what training have you been doing? Jon: Just the regular stuff. Long rides, strength work on the bike and in the gym. I’ve even done a bit on the track and racing on Zwift to mix it up. I haven’t really had a set plan so far, it’s more day-by-day based on how I’m feeling and I have that luxury as I’m self-coaching. Now we’re in January, I plan it out more – starting with a week in Gran Canaria. Connor, George and I headed out there and did a big block because the weather was so good. The upcoming training camps provide the basis for a lot more structure and I try to follow that as best I can. That will mean some zone three and four efforts as I step it up now really. At the same time, I’m conscious we’re not racing until March or April and it’s a long season. Q: After your amazing run in the Tour Series in 2016, you’ll always be known for having that record – but in 2018 it seems you really had a breakthrough year on the road. Do you think you can combine both? Jon: I’ve always wanted to do what I’m good at – and that’s the Tour Series and crits. I think it came from racing on the track for years; it suits me. It did annoy me that you get pigeon-holed and can’t move for anything else, the road results are overlooked because if they are not wins, they aren’t that same success. Last year was definitely a breakthrough for me on the road, with silver at the Commonwealth Games and winning GP Marbriers. I’ve been knocking on the door for a while but sometimes it doesn’t happen. I’m capable of doing both the road and crits because they work together. Q: What was the difference that helped you attain those results on the road in 2018? Jon: I think a lot of it was circumstance. For a couple of years, I was on a team where we had strong sprinters. Most races we would ride for the sprint to get either Chris Lawless, Brenton Jones or Matt Gibson to the line first. Cycling is a team sport and I’m always keen to ride with people to get a result – but that does mean you can get less personal opportunities. Because of my calendar, I went from having three chances to win a road race in 2016/17, to then having six or seven in 2018. That massively increases your odds. And then bike racing is just lucky sometimes. If you’re there in the right place, it comes round eventually. Q: So what will your focus be in 2019? Jon: The Tour Series will be my first aim of the season – I will race before that but those races will form my preparation. After that, it is doable to switch over to have more of a road focus. The end of June is the national road championships and then I go into the rest of the season. But first I will go all in for the month of May and my main priority is to win for the team and take individual wins. Q: Since taking all of those wins Tour Series wins in 2016, you haven’t won a Tour Series individual race since – do you think you can get back to doing that again in 2019? And could that record ever be matched or even beaten? Jon: It’s a weird one when you compare it to previous years. I took six wins in the 2016 series. The next best is Ed Clancy who won three rounds in a series back in 2013. Generally a good year would be two wins! So I have basically ruined all the stats with those wins in 2016 – and now, if I only win one race, it’s potentially seen as a failure. But other than that, I’m definitely capable of winning more Tour Series races! It’s always tough racing there though. If you come in fresh, you’ve got a good chance, but if you’re only a little bit off your best, then it can bite you. Q: What about your aims for road races? Jon: All the national series events are an aim. Everyone says Lincoln first off and you can add me to that list. Throughout the year, we have a lot of chances to win and with the nationals on a decent course, there’s a chance there as well. You take Connor’s win and see it’s definitely possible to get a good result. One I won’t be aiming for is the CiCLE Classic, let’s just say a few bad races cloud my judgement there – I’ll let the others have their pick for that race! Q: Off-road riding not your thing? Jon: Well I’m a track rider really. Tom Moses is more for that! When we go out, he takes us down these paths on our training rides and it gets on my nerves! I don’t get it, you’re on a road bike, you’re wrecking your tyres and your bike is stinking and filthy!